People have been colouring-in for thousands of years. I’m betting it was soothing after a difficult day hunting with a stone axe – or even an iron – axe. Colouring-in can reduce your stress and calm anxiety – it’s like the reciting of chants or mantras but more fun. Your brain works just enough to slow the turmoil of stress or anxiety but not so much that your concentration is drained. And being around horses has long been recognized as therapeutic for many kinds of stresses. So I’ve got together with two artists to make …. The Coloring Book of Horses. Stress Reducing Art Therapy. · The first section has patterns and landscapes for your detailed colouring – any colour you like. 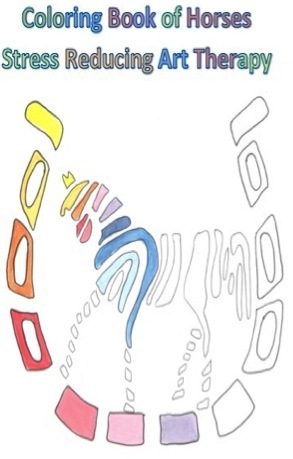 · In the second section, you can colour in real or imagined horse colour combinations and markings. 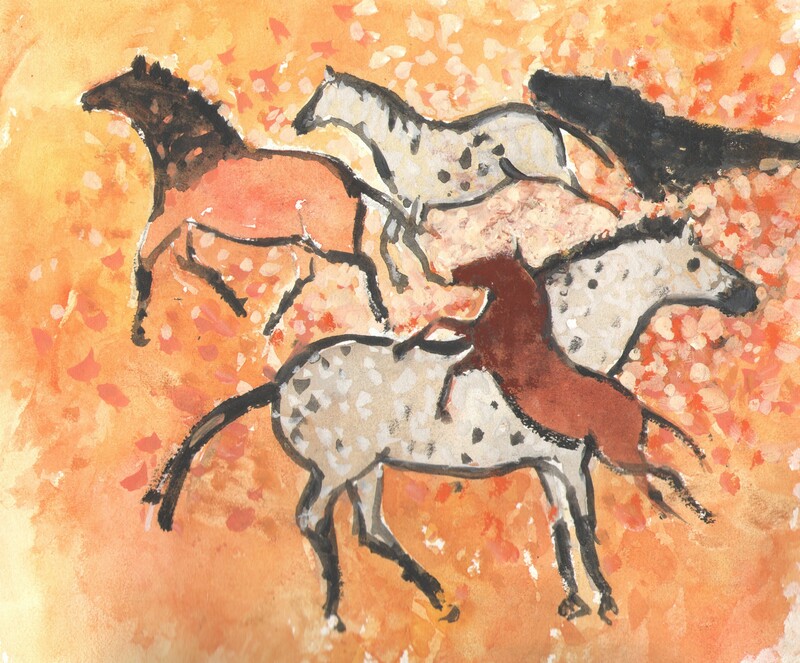 There are over fifty colours and colour combinations for real horses – there’s a list of the main real colours towards the end of this book. But, hey, this book also has some unicorns, mythical flying horses and sea-horses. You can use any colours you like. Most of all, this book is aimed at having fun! After all, as the old saying goes, a good horse is never a bad colour.